You may have seen the UK Government’s recent report, called The ‘Clean Air Strategy 2019’. This commendable report looks to reduce air pollution in the home. It targets emissions from woodturning stoves, household cleaning products, personal care and paint. The smoke from poor woodturning stoves and fireplaces, and the artificial chemicals in domestic products, can be toxic. They contain dangerous carcinogenic elements. Artificial chemicals and fragrances in the home can also cause respiratory condition and asthma. Many of these products contain non-methane volatile organic compounds (NMVOCs). These, according to the European Environment Agency, can be hazardous for people and pets. This is all very worrying, especially if you have children. Protecting their lungs from this indoor pollution is so important – we want our children to enjoy clean air! One of the products mentioned in this Government report are fragranced candles, but…NOT ALL scented candles. The dangers are limited to candles made from paraffin waxes. Candles which contain artificial, chemical, fragrances and have metal-cored wicks are also hazardous. What Makes Some Candles Hazardous? The waxes in the majority of scented candles on the market, especially at the cheaper end, are paraffin waxes (also described as ‘mineral waxes’ or ‘blended’ waxes). These are actually hydro-carbons derived from petroleum. These candle contain chemical fragrances which are released into the air when burned. All of these can cause respiratory issues and the toxic compounds released can cause more serious problems, such as lung cancer. Candles made from natural waxes, such as plant-based Soy Wax or Beeswax pose no problems. Beeswax actually contains negative ions which clean the air and improve air quality! At Laura Thomas we ALWAYS use 100% natural soy wax. Wicks should always be made from cotton, which no metal core. 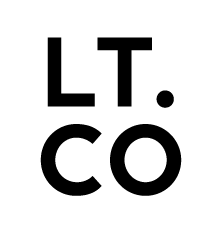 At LT we ONLY use 100% cotton, textile-grade, wicks. These burn cleanly and are safe to use. We all know that Essential Oils offer many health benefits. Using these natural oils to fragrance a candle present no issues to wellbeing. When you buy a natural candle from LT you know that it will be absolutely safe to enjoy at home. We all love scented candles. They can bring many benefits to our homes, a sense of ritual, atmosphere, warmth, and feeling of luxury. The reduction of stress and improvement to your mental wellbeing you feel when lighting a candle is powerful. When you choose a natural candle it can be good for your health. We think about health and wellbeing here at LT as much as you do. We want to bring you the very best candles and products which are 100% natural. You can be sure that when you choose us, you are making a ‘good-health’ choice. It’s easy to make the right choices when buying a candle when you have the info you need. Look below for the LT guide to buying a safe scented candle. Always choose candles made from 100 per cent beeswax, soy or other natural vegetable waxes. Avoid anything described as paraffin wax, or mineral wax, which is derived from the petroleum industry. Choose candles with 100% cotton wicks. Always avoid candles that contain wicks with a metal core as these can contain lead. Choose candles free of artificial scents, pick ones made from natural essential oil or fragrance. Cheaper candles are usually paraffin wax with synthetic fragrance – its worth investing in your candles. Burn your candles in a well ventilated room.